Jan Willis (BA and MA in Philosophy, Cornell University; PhD in Indic and Buddhist Studies, Columbia University) is Professor Emerita of Religion at Wesleyan University in Connecticut and Visiting Professor of Religion at Agnes Scott College in Decatur, GA. She has studied with Tibetan Buddhists for five decades. She is the author of five books--on Buddhist meditation, philosophy,and saints'lives as well as essays on women and Buddhism and Buddhism and race. 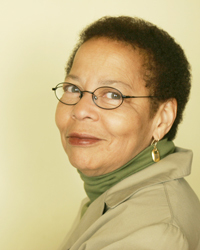 She has also written a well-known memoir, "Dreaming Me: Black, Baptist and Buddhist--One Woman's Spiritual Journey." In December of 2000, TIME magazine named Willis one of six "spiritual innovators for the new millennium." In 2003, she was a recipient of Wesleyan University's Binswanger Prize for Excellence in Teaching. Newsweek magazine's "Spirituality in America" issue in 2005 included a profile of Willis and, in its May 2007 edition, Ebony magazine named Willis one of its "Power 150" most influential African Americans. In October and November of 2012, Jan spent seven weeks in a Buddhist nunnery in Thailand and in September of 2013, she walked 340 miles of the Camino de Santiago in northern Spain.